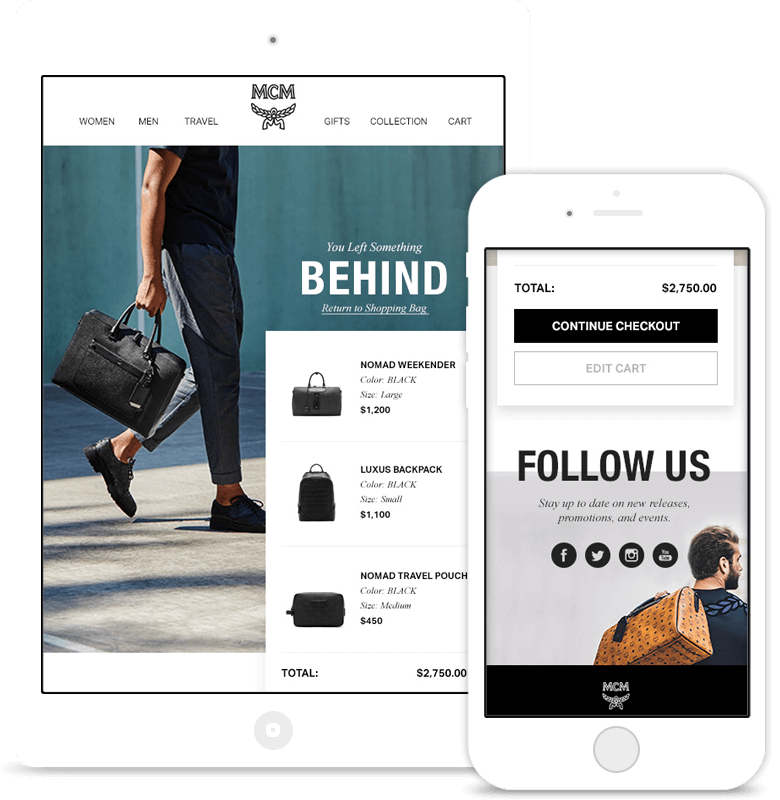 Cart Abandonment recovery enables you to reconnect with visitors who’ve abandoned their shopping cart; reminding them what they’ve left behind and tempting them back to complete the purchase. If you struggle with visitors bailing out before the finish line, send them a copy of where they got up to, to finish at a later time. Sometimes folks are ‘just looking’. Browse Abandonment emails enable you to reconnect with those visitors and provide suggestions based on their browse history. They’ll be so impressed with your super-relevant approach they’ll soon hurry back to carry on where they left off. Email My Basket puts the control with your visitors, enabling them to request a handy reminder so they can return and complete the purchase when they’re ready. 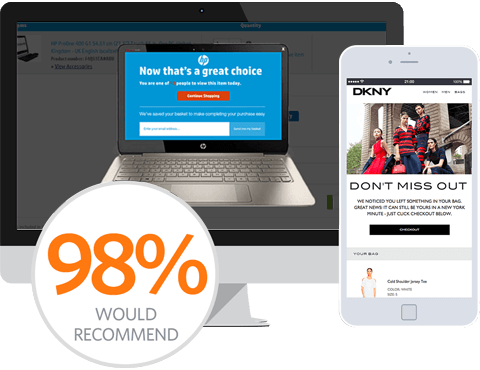 Abandonment surveys gather feedback from people who abandon a purchase on your site. 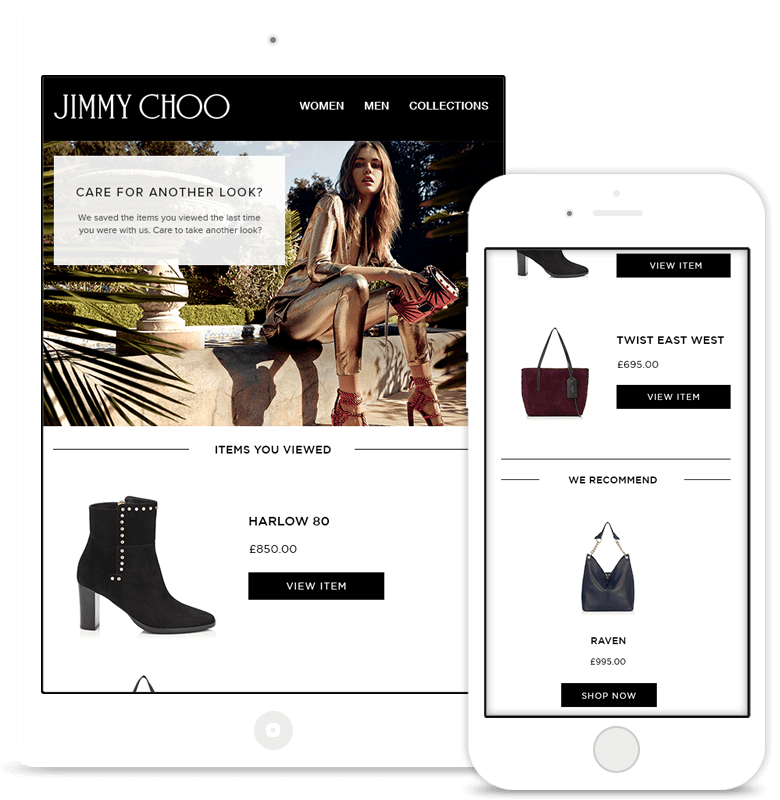 Triggered on-site or by email, they’ll give you invaluable insights on how you can improve your checkout. Client Creatives	See live client designs. Lorna Jane have increased online sales by 8%. Cath Kidston have return abandoners spending 65% more! See the success of Nile Air’s multi-channel campaign. 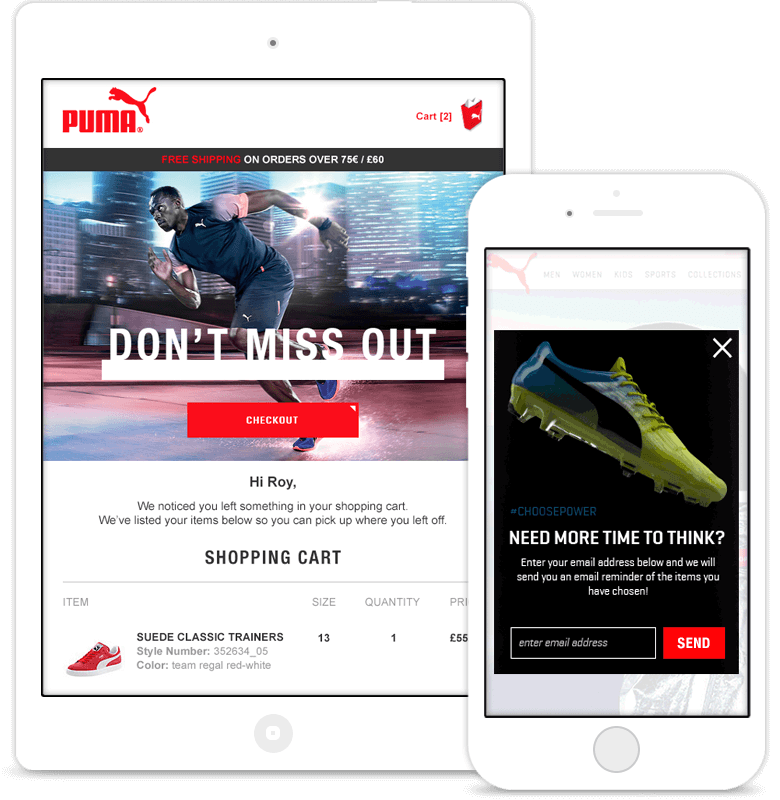 Puma recovered abandonments to increase online sales by 3%. REISS’ abandonment email increased sales by 6%. Thorpe Park has increased sales with SMS remarketing. 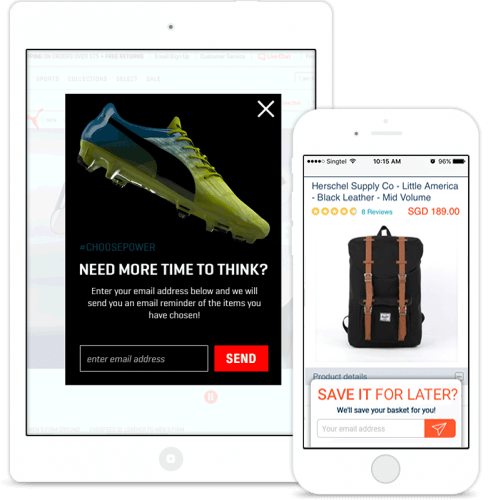 Recover sales and gather marketing permission with EMB messages. 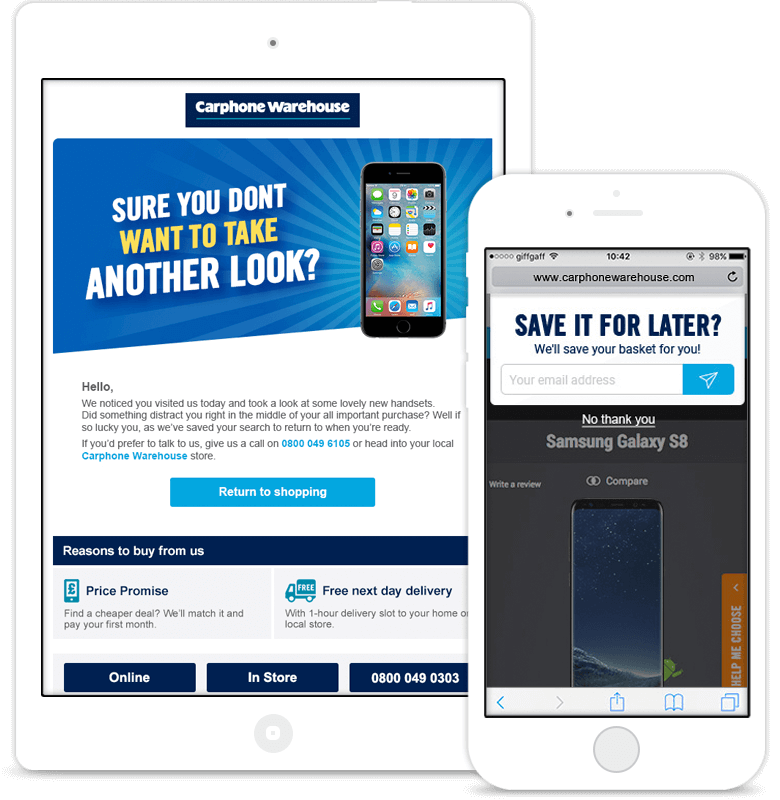 Reduce abandonment and recover abandoned sales. The superstars of your digital marketing roster. 20% of returning customers complete their booking. Key cart abandonment stats from the last quarter. How to track cart abandonment using Google Analytics. Retail customer survey data on reasons for abandonment. 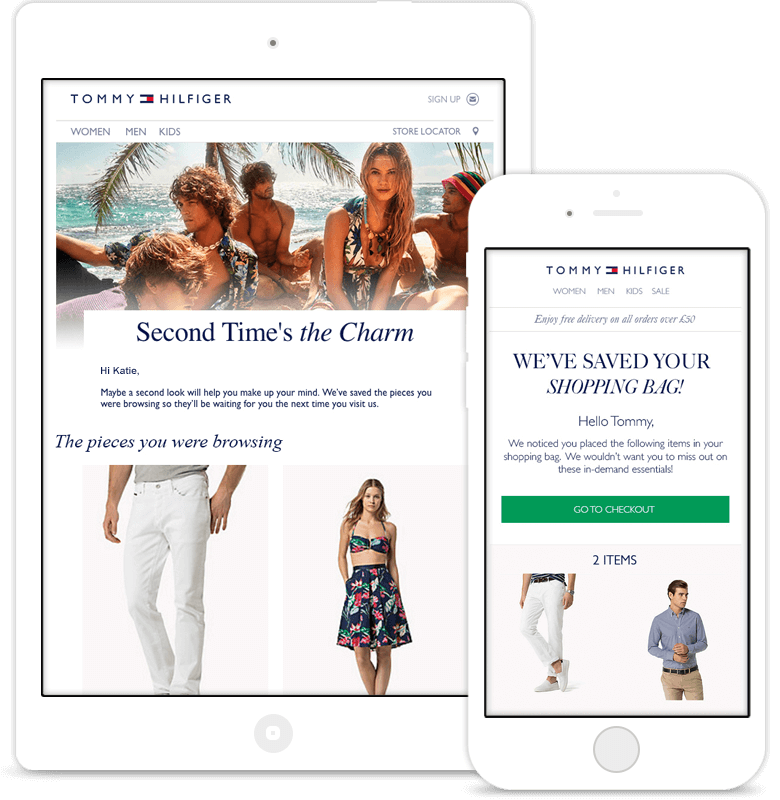 Game changing emails from leading ecommerce brands.